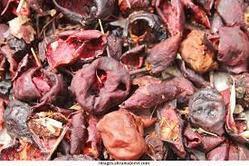 Due to our devoted vendors, we have been accomplished to offer an extensive range of Dry Kokum. 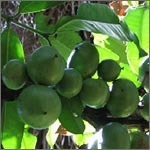 Garcinia indica, a plant in the mangosteen family (Clusiaceae), commonly known as kokum, is a fruit-bearing tree that has culinary, pharmaceutical, and industrial uses. Oil extracted from seed called Kokum oil or kokum butter is equivalent to vanaspati ghee. It is often used as a substitute for cocoa butter due to its triglyceride composition. Our customers can avail from us an excellent range of Dried Kokam. It is slender evergreen small tree with drooping branches. It is a decidious tree growing up to 18 mtr high. The fruit is spherical, purple, not grooved having 5-8 seeds compressed in an acid pulp. We are offering our customers Fresh Kokum that appreciated for their quality. Grown in optimum conditions, the Fresh Kokum are popularly known as an easy-peel citrus with 12 to 25 seeds. We offer them in bulk and that too at very reasonable cost in the market. We are dealing in bulk quantity. The ripened, rind and juice of Kokam fruit are commonly used in cooking. The dried and salted rind is used as a condiment in curries.It is also used as a garnish to give an acid flavor to curries and for preparing attractive, red, pleasant flavoured cooling syrup. Kokam butter used as an edible fat, is nutritive, demulcent and antiseptic. The rind has antioxidant property. We are leading supplier of Organic Garcina Indica (Kokum).